Why choose Walker Roofing as your Twin Cities roofer? 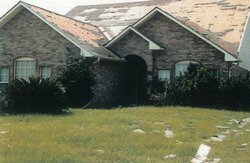 Walker Roofing understands that there are other roofing installation companies out there. But we believe that making the choice to work with us is one you won’t regret. Here are some of the reasons why Walker continues to be a successful and trusted business in the Twin Cities area. Walker Roofing Company Inc. has been serving the Twin Cities Metro area since 1938. That is three times longer than most of our competition. Walker Roofing has installed more than 4 million square feet of roofing in the Twin Cities Metro area. Walker Roofing is authorized to install the best in premium roofing systems from GAF, Genflex Roofing, and Versico systems, with warranties of up to twenty years. Walker Roofing can provide you with recommendations from independent roofing consultants, builders and remodelers. Our Better Business Bureau record and our reputation with city permit departments are top notches. Walker Roofing holds Liability and Workers Compensation insurance for all of our operations. After all, accidents can happen, and insurance in our industry is a must. Walker Roofing has all of the required equipment to provide you with a safe and efficient installation, meaningless inconvenience to you. Roof leaks don’t always happen during business hours. In the event of an after-hours emergency, we can be reached by our emergency telephone numbers on a 24/7 basis. Walker Roofing has been a member in good standing since their inception in 1975. We have been in business since 1938. #10 WE’RE A COMMITTED RESIDENTIAL ROOF CONTRACTOR AND COMMERCIAL ROOF CONTRACTOR. We have proven ourselves in the Twin Cities roofing market. We strive to maintain the highest standards of quality, integrity, and honesty.